Well-maintained home on large lot. 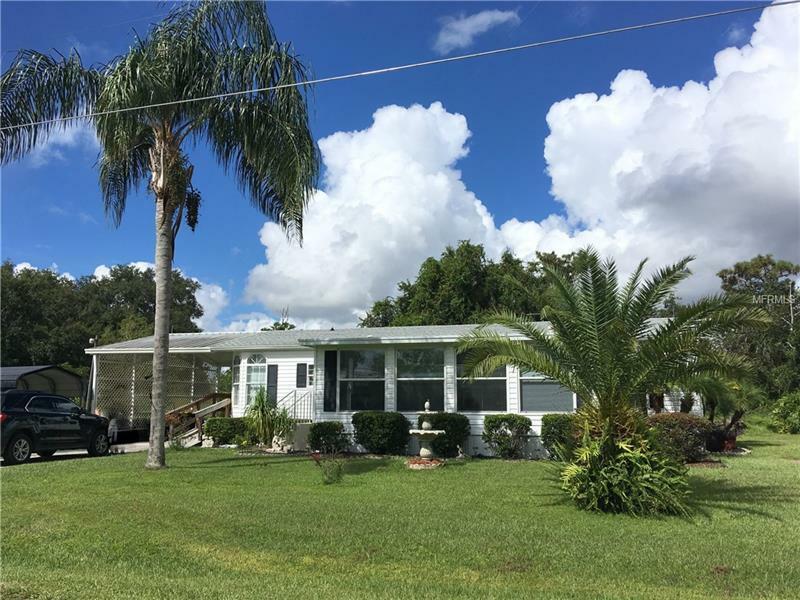 This lovely manufactured home has a lot to offer! Public record says 1294 sf, but Florida room addition with its own entrance effectively adds on 264 sf, to make the home feel like 1558 sf. Enter the home by the ramp and see the large kitchen, with plenty of cabinet space, all appliances will stay, including the new 2016 refrigerator, room for a breakfast table, and wraparound counter and cabinets, for more kitchen storage. The laundry room is accessed from the kitchen. The kitchen is open to the formal dining room, with built-in lighted hutch for your collectibles. The adjacent great room is quite spacious. To the left is the master suite, with walk-in closet, and and double doors to the private bath with garden tub and step-in shower. To the right are two more bedrooms which share the second full bath. At the front of the home, the 11x24 Florida room is a well-lit space made for relaxation, with exit to the front yard. Outside are the attached carport, plus an additional carport installed over the picnic area, and a new storage shed. Upgrades and additions include new roof in 2016, and in 2017 a new water filter, piping in the well house, and new pressure tank were all installed. The home's tiedowns were upgraded to meet current FL State Code in April 2018. There is no HOA here, and taxes are quite low. Located out of town, but still close to shopping, Narcoossee Corridor, and Lake Nona Medical City. Note: Seller will require 5 days after closing to vacate.